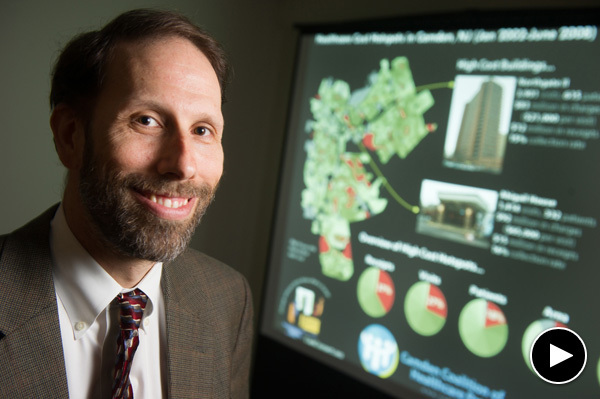 Simultaneously making changes at the organizational level and building alliances across sectors for larger system change, Father Jeff Putthoff, SJ, and Dr. Jeffrey Brenner realized they had to dig deeper — beyond symptoms to root causes — to understand the struggles they were witnessing in Camden, NJ. What they found were ACEs. 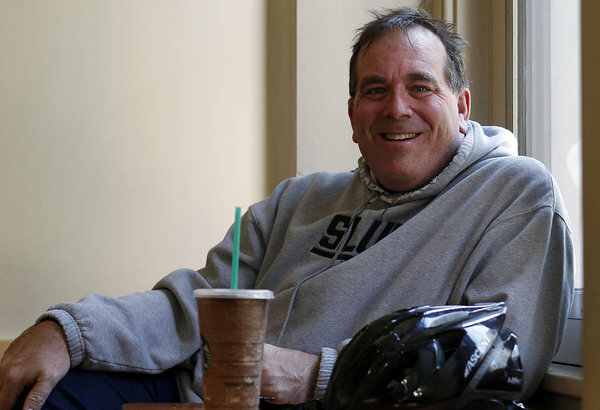 Putthoff, a Jesuit priest known locally as “Father Jeff,” is a fireplug of purpose under his casual uniform of cargo shorts and sweatshirt, earbuds slung around his neck, a blue bicycle his preferred mode of transport. He is voluble and passionate on the subject of his city. Since 2000, Father Jeff has directed Hopeworks N’ Camden, an organization that offers in-school and out-of-school youth GED classes and web-site design instruction—skills intended to parlay directly into jobs or college. Brenner is equally driven—a physician/scholar/prophet in a slightly rumpled suit, with a calendar so crammed he must set a smartphone alarm to keep his days on track. He is founder and executive director of the Camden Coalition of Healthcare Providers and the recipient of a 2013 MacArthur “genius” grant. In 2011, he was profiled in The New Yorker, which chronicled his innovative plan to shrink the cost of health care by focusing on the highest-risk patients, providing them with team-based interventions to keep them out of hospitals, and by helping them manage chronic illnesses and social/emotional needs. But it wasn’t until the last three years that each man learned of the CDC Adverse Childhood Experiences Study, whose first study was published in 1998, and began to apply its lessons to his work. That study, of more than 17,000 Kaiser Permanente members in California, showed that early childhood adversity—including neglect, physical and sexual abuse and parental abandonment—was both widespread and corrosive to long-term physical and mental health. Trauma, the study implied, leaves tracks in the brain and lingers in the body. Stress can literally make people sick. Putthoff saw the symptoms of that trauma every day. Camden earned the dubious title of “most violent city in America” in 2012, when there were 67 homicides among its 77,000 residents. That year, someone in Camden was shot, on average, every 33 hours. Two out of five Camden residents live below the poverty line. The streets are pocked with nearly 4,000 abandoned homes. Putthoff could see how frustration and hopelessness were wearing on the Hopeworks staff—10 full-time and four part-time employees who work to boost students’ reading skills and teach them web site design and GIS (geographic information systems, or digital mapping). They also reinforce workplace norms such as appropriate dress and consistent, on-time attendance. Putthoff learned about The Sanctuary Model, developed in the Philadelphia area in the early 1980s. The model is a blueprint for organizational change to create a trauma-informed community that includes not only the people seeking treatment or services, but those who provide those services. Organizations that wish to follow the Sanctuary Model make a commitment to undergo intensive training, staff development and rigorous reflection to change behavior, attitudes and practices. Three years ago, Hopeworks began that process. Today, the principles of trauma-informed care infuse everything that happens at Hopeworks. Each morning, in a room on the second floor of Hopeworks’ headquarters, an unassuming row house in the Pyne Point neighborhood, both staff and youth gather for “the huddle,” a check-in designed to clarify feelings and set intentions for the day. This article about Camden, NJ is one of several profiles of communities that are becoming trauma-informed. They are published together in the Community Resilience Cookbook. Putthoff is trying to spread that word beyond the walls of Hopeworks. In May 2013, Putthoff and others hosted a Trauma Summit featuring keynote speaker Sandra Bloom, co-director of the Center for Nonviolence and Social Justice at Drexel University’s School of Public Health; she is co-creator of the Sanctuary Institute. The chief of police attended the Trauma Summit. So did numerous neighborhood activists, clergy members, teachers and citizens eager to learn more about what ails Camden and how to fix it. Putthoff followed the summit with a series of “Trauma Triangle” workshops to further participants’ learning about the effects of adversity and ways to boost resilience. Now he is working to gather a cluster of Camden organizations to be part of a “Healing 10”—agencies that will commit to the Sanctuary Model, practice trauma-informed care and work together—in collaboration, not competition—across disciplines, to repair this broken city and its people. A year later, that work is starting to gain traction; both Drs. Robert Anda and Vincent Felitti, co-investigators of the ACE Study, spoke at Camden community events in the spring of 2014. A small group of leaders committed to the idea of the Healing 10 has been meeting regularly with Putthoff, and more than 70 people filled the room for a three-hour training on the Sanctuary process. Putthoff hopes that momentum will continue at the next Trauma Summit to be held next week. Meantime, Hopeworks continues applying the lessons of ACEs to its own daily practice, and sharing that knowledge with others. A recently formed youth trauma team, trained in ACEs theory, has presented to schools, community centers and other sites. The most powerful moments, Putthoff says, come when the youth tell their stories. One boy talks frankly about being stabbed by his father; a girl discloses her history of self-injury and drug use. They describe how understanding ACEs has helped them heal and given them a new framework for seeing the world. Education leaders in the city are also starting to embrace ACE-informed practices. The Catholic Partnership Schools, a coalition of five Camden schools, hosted an Education Summit in 2013 that brought 300 educators to hear Paul Tough, author of How Children Succeed: Grit, Curiosity, and the Hidden Power of Character, talk about the impact of poverty on children’s ability to learn. In some of those schools, teachers are using mindfulness meditation, “peace corners”, and soothing music to help children manage their emotions and learn resilience. Several years ago, Brenner’s staff interviewed a group of “high-utilizing clients”—that is, middle-aged adults whose chronic illnesses resulted in frequent emergency department visits and hospital stays. It turned out that this group had a high level of early-life trauma. That data eventually led Brenner to the CDC’s ACE Study. The patient, it turned out, was a retired kindergarten teacher, raised in the South; she was widowed, depressed and still suffering the effects of early-childhood trauma. “You realize, in medical care, how little we really know people, how ill-equipped we are to pull their stories apart. I was practicing with half a stethoscope and one hand tied behind my back,” he said. In one of the coalition’s practices, the staff is working on a plan to screen all patients for ACEs, a prospect Brenner said unnerves some physicians because it challenges the medical model they’ve been taught. What’s needed, he said, is a simple ACE-screening framework, like those used to assess for depression or substance abuse, that could be used by frontline staff. Meantime, the coalition created a short animated video showing the relationship between early childhood trauma and emergency room use. The priest and the physician continue to join forces; when CCHP brought on 10 new AmeriCorps volunteers in August 2014, Putthoff and his youth trauma team took part in their orientation, training the volunteers along with new CCHP staff in ACE fundamentals, trauma and resilience. Prevent trauma, see Dr. Gov. Howard Dean of vermont. Reduced foster care by 70% and balanced the state budget. 3 and 1/2 times as many kids are murdered and sexually abused in Foster care as in their families of origin. Foster care system attracts pedophiles. Teach parenting early, give job training early.